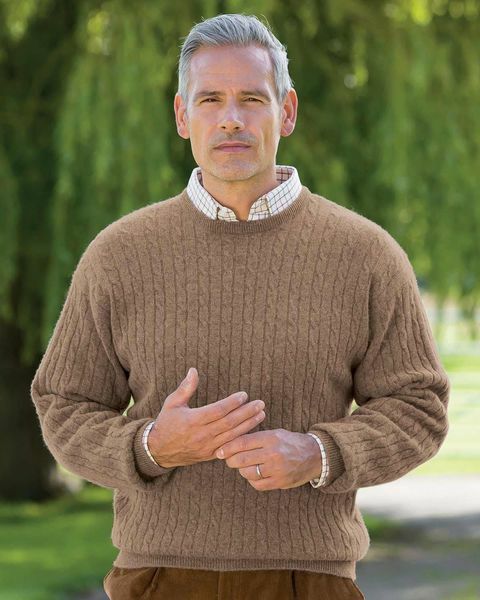 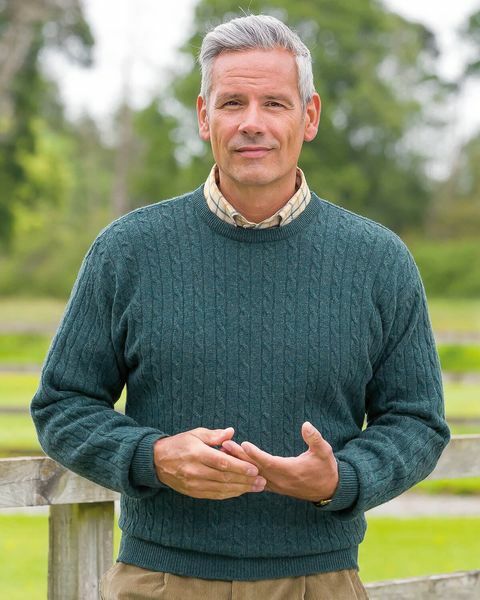 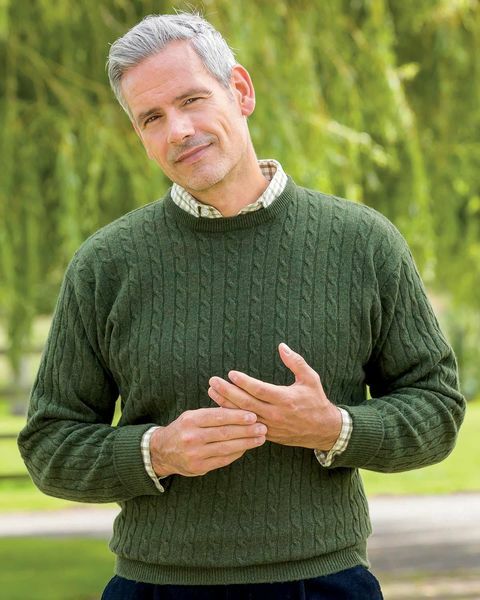 Mens soft pure lambswool sweater in a classic crew neck style. All over cable design. This classic sweater is satisfyingly warm and snug without being bulky or cumbersome – the perfect choice for long autumnal evenings and cold winter days. A great way to keep warm and cosy in an array of co-ordinating colours.